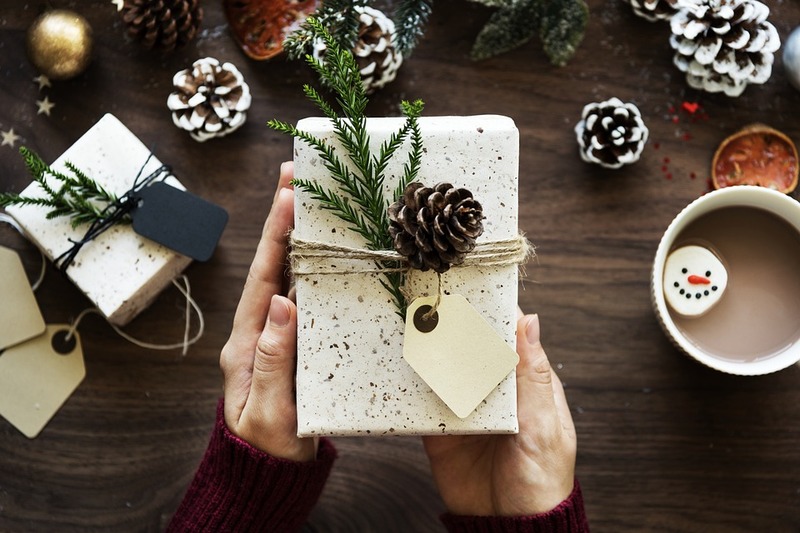 As the holiday season quickly approaches, it is custom to give gifts as a sign of thanks and appreciation for a year well spent. Give yourself and your company the treat of having cybersecurity made simple. See why Apptega is the perfect holiday gift for your business. With Apptega, cybersecurity is made simple - so simple that your non-tech savvy grandmother could use it. 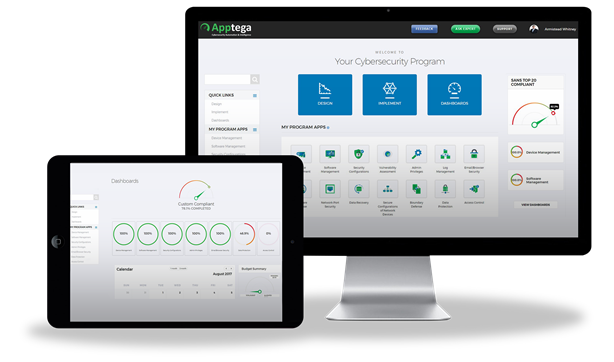 Apptega provides organizations an easy to use platform to design, manage, and report its cybersecurity program. 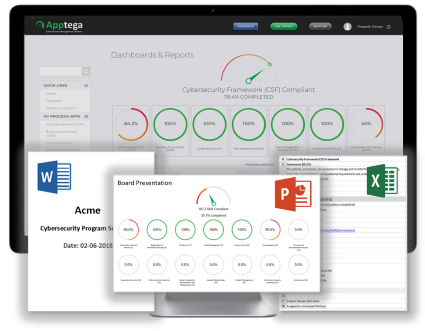 Apptega shows your organization's status and what needs to be done in order to meet 100% compliance. Customer audits are easy with one-click reporting for Word, PowerPoint, and Excel. "CIOs can't protect their organizations from everything, so they need to create a sustainable set of controls that balance their need to protect their business with their need to run it." Apptega provides a simple and easy way to manage all your controls and sub-controls to ensure you are maintaining compliance and the overall safety for your organization. Apptega offers a wide variety of frameworks including HIPAA, SOC 2, GDPR, NIST 800, PCI, NIST CSF, NYDFS 500, SANS 20, ISO 27001, and more. You can also create you own custom frameworks depending on the unique needs of your organization. Within these frameworks, assign a variety of tasks to individuals, driving accountability and compliance for your business. With Apptega, companies can organize their time, effort and resources around a centrally managed program. Many of our customers struggled with developing a broad organizational commitment to a cybersecurity program when it was represented by ad hoc spreadsheets. With an executive commitment to a formal program managed in Apptega, cybersecurity teams are now establishing a mandate within the organization to drive corporate cybersecurity goals. Apptega takes customer success seriously. We understand that our client's trust and cybersecurity well-being depends on us. Our customer success team is dedicated to make sure that every client is given every resource possible to get the most out of Apptega's capabilities. “Apptega’s team and software have been instrumental in bringing our security and compliance program out of the dark ages and into the 21st century! They truly take a partnership approach and from the initial conversation to highly responsive ongoing support, they are there every step of the way. I’m grateful for this great product and the supporting team behind it”. 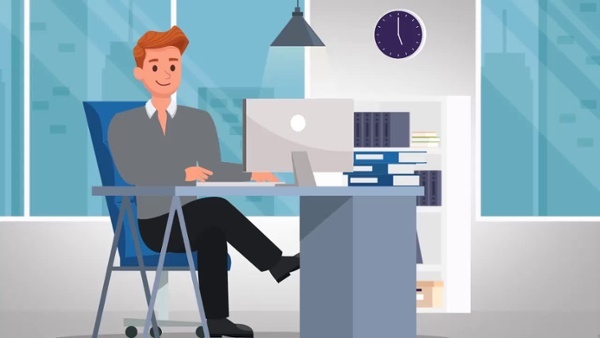 Enjoy this short video explaining more about Apptega! You can also request a FREE demo today! 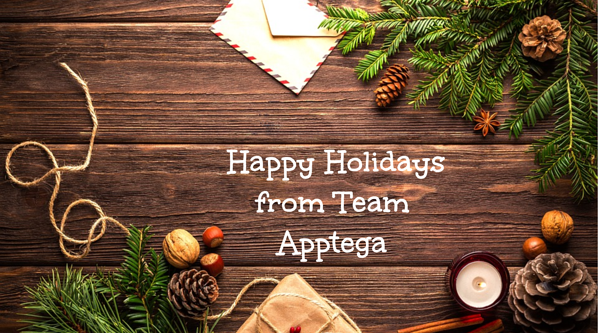 From all of us at Apptega, we wish you a wonderful holiday season filled with love, laughter, and a strong cybersecurity strategy - oh and good health of course.